This year Goshen College's Center for Business and Entrepreneurial Education will continue its seven-week "Lunch and Learn" series targeted to administrative support staff looking to improve work habits and the work environment through lunchtime seminars in Goshen taught by experienced community leaders. The Goshen College Community School of the Arts (CSA) is holding auditions on Aug. 22-23, 29-30 for youth who wish to sing in the organization's two children's choirs. Opportunities are still available to secure individual tickets for all concerts in the Goshen College Performing Arts Series. Individual tickets go on sale Monday, Aug. 8, at the Goshen College Welcome Center. 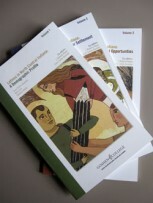 The 2011-12 season will begin Sept. 10 with Manhattan Transfer. 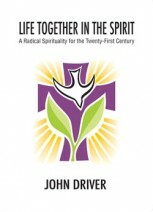 Goshen College's new Institute for the Study of Global Anabaptism published its first book in July, an English-language translation of John Driver's "Life Together in the Spirit: A Radical Spirituality for the Twenty-First Century." The project was sponsored by Greencroft Communities, who helped make the book available for free in Spanish and English to every pastor in Mennonite Church USA. Goshen College's Institute for Latino Educational Achievement, in collaboration with the University of Notre Dame's Institute for Latino Studies, published a three-volume series of research reports, titled "Latinos in Northern Indiana," during the spring of 2011. The reports assess the educational experiences of local Latinos and provide recommendations for improvement. From a colorfully painted vintage van frequently seen around campus to black and white photos from Africa, Goshen College students are bringing their entrepreneurial ideas to life with assistance from the Business Department. To encourage students to develop their skills further, the Business Department has awarded entrepreneurship grants to seven student-owned businesses, for a total of $27,500 during this academic year. From exploring Mennonite-Muslim relations to researching the membrane transport process, 12 Goshen College students spent the summer working with professors on various research projects during the collegeÕs eight-week Maple Scholars program.